no taste and easy to use! Finally a specific probiotic formula for dogs that is both gluten and yeast free which have been devastating for my little dog Shila who is 15 years old and has been vomiting all probiotics for dogs on the market. Her bad diahrroea has finally resolved in just a couple of days thanks to Probiotic Miracle. I have already reviewed this product as promised and it is never missing from my fridge. It has been that detail which has made and is still making a difference for many things. Solid stools soft and shiny fur. I have also solved a tearing problem I had with two of the four Chihuahua. Now their eyes are always clean and dry. This time I bought it for my mom who has two Cavalier. No doubts that she will love it! If you want more detailed information about this product, please search over the web for the manufacturers official page by inserting "Nusentia Probiotic Miracle" or contact our customer service. Probiotic Miracle® is a concentrated beneficial bacteria powder formulated specifically for dogs and cats. Nusentia has selected six thoroughly researched species of beneficial bacteria. Each serving delivers 2 billion CFUs of healthy and stable flora guaranteed when used by the expiration! 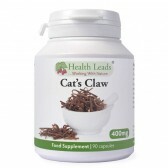 Since my cat (FIV +) has started taking it she no longer had gastrointestinal problems. She gained her appetite back and some weight as well . Excellent product but you should always keep it in stock! Great for my Siberian who has constant intestinal problems. 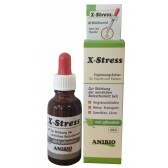 Used in combination with the enzymes it is even better. Various intolerances were suspected. This led us to homemade food and, nevertheless, the situation never resolved. Since three months (seven years old) his stools have hardly ever been normal despite using of all kinds of products (probiotics). 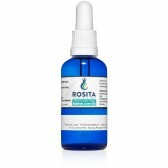 Since last summer I use Probiotic Miracle and with great satisfaction I can say that today the situation is resolved. The dog seems to be reborn, her stools are normal and even her hair is nicer and thicker. This is without any doubt an exceptional product. Probiotic Miracle® attaches well to dry or wet food when mixed and has virtually no taste. There is a small scoop located inside each canister of Probiotic Miracle to make dosing your pet easy. If it becomes necessary to extend the expiry date of a further 6 months, then it should be kept in the refrigerator. Start with half the suggested dose below and increase to the full amount after 1 week. For best results, use with Enzyme Miracle® to provide complete digestive support for your pet. Find your dog or cat's weight on the chart below and add the amount to their food once per day during wellness to maintain healthy intestinal flora. 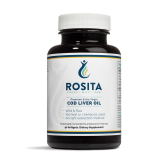 Directions during illness, infection, allergies, or GI-related issues: Give the dosage below for 3 weeks or until you notice an improvement in the condition, then continue at the "wellness" dosage as stated above according to your dogs weight. *Servings per container when dosing 1 scoop per serving. 2 Billion CFUs per 2 scoop serving is guaranteed at expiration of product.This product contains stable strains of live bacteria and may be stored at room temperature without loss of efficacy. For extended life, store in the refrigerator or freezer. Keep lid closed securely. Probiotic Miracle is filled according to weight, not volume, so the canister you receive will not be completely full. Manufacturing requires enough top space in the canister to avoid spilling and loss of powder during filling. I must say that since I regularly administer the product to my 3 cats their feces are well formed and the fur is soft and shiny. I will tell you more overtime. It won't ever be missing in my fridge. From now on it will never be missing in my fridge ; I solved all my problems with the male who very often suffered gastrointestinal problems. It really is a great product! I will buy it over and over again. 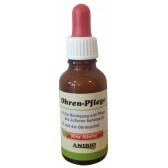 Great product, it's helping dog’s bowel after a cycle of antibiotics. It's a great product. To be fully satisfied, it is necessary for me to continue the teratment because my dog's problem is not easy to resolve. 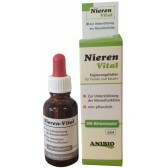 Finally after several years, thanks to this product, I resolved my dog’s itch that both the veterinarian and the dermatologist had failed to treat despite various supplements, medicines and continual food change. Fabulous! The product is great because probiotics are essential to my Goia and Giulietta's tummies. Thank you.